It’s clear that Mercedes-Benz is trying to make a powerful splash with its first real all-electric vehicle. Sitting in the back seat of the Mercedes-Benz EQC as it shoots up to 100 kilometres an hour is a lot like riding one of those electromagnetically propelled roller coasters. You don’t so much accelerate as explode forward. The EQC takes about five seconds to hit 100, so it’s not quite on par with sub-three-second supercars or even a Tesla with Ludicrous upgrade, but it’s plenty fast. It’s enough to push you into the back of your seat and have you shouting expletives as you jolt ahead. The acceleration comes courtesy of the vehicle’s two electric motors, which deliver a combined 402 horsepower. With that kind of juice under the hood, it’s clear the German automaker is trying to make a powerful splash with its first real all-electric vehicle, unveiled in Sweden in September and due later this year in the United States. Canadian buyers will have to wait till 2020. 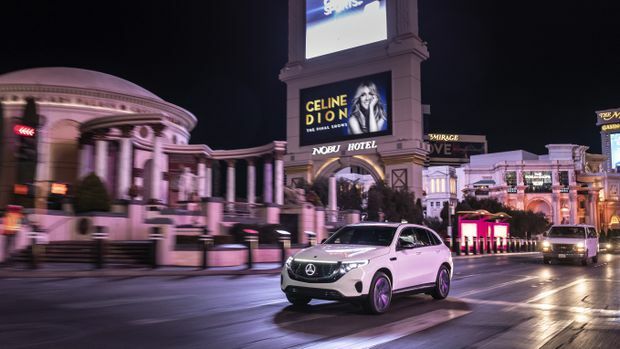 Mercedes-Benz isn’t yet allowing non-employees to drive the EQC, but the company was giving rides to journalists during the annual Consumer Electronics Show, happening this week in Las Vegas. It’s hard to find areas in which the EQC compromises when compared to its combustion-engined cousins. Intended as a competitor to comparable EVs such as the Jaguar I-Pace, Tesla Model X, BMW iX3 and Audi e-tron, it boasts a 400- to 450-kilometre range, according to European testing standards. The automaker says the range hasn’t yet been rated for North America. 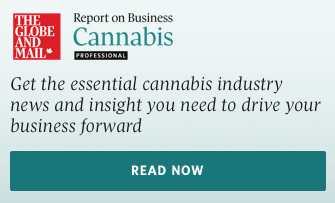 The 80 kWh lithium-ion battery takes about 40 minutes to hit 80 per cent capacity at an appropriate charging station, according to the company. As a crossover SUV, the interior is spacious, making for a comfortable ride. And aside from the lack of engine noise, you’d be hard-pressed to tell the difference between the EQC and one of the car maker’s GLE or GLC cars. Perhaps the only real telltale sign is the lit-up Mercedes logo on the front grille. 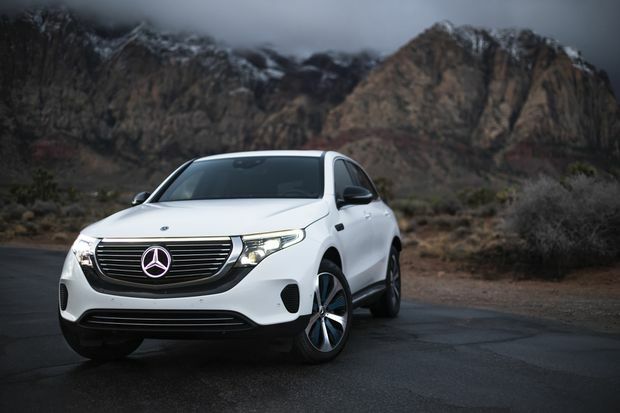 The EQC is Mercedes-Benz’s first entry into the full-electric sphere – not counting the Smart Fortwo minicar – although it’s just the beginning. The 80 kWh lithium-ion battery takes about 40 minutes to hit 80 per cent when plugged into a 110-volt charger. 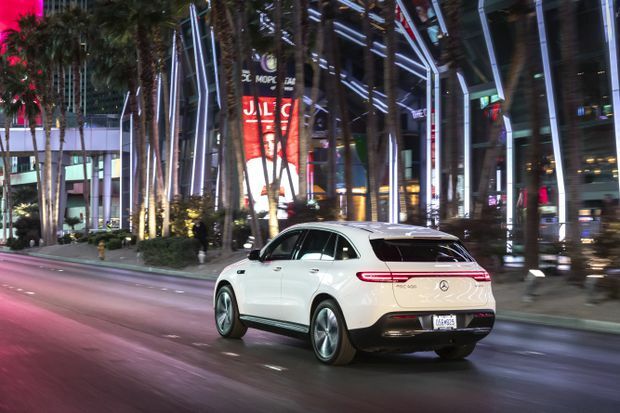 The EQC is Mercedes-Benz’s first entry into the full-electric sphere – not counting the Smart Fortwo minicar – although it’s just the beginning, with a lineup of 10 battery EVs coming by 2022. All will have the “EQ” designation, which the automaker says indicates its “IQ” with electrification. Many manufacturers have in the past chosen smaller vehicles as their first EV efforts, largely to keep prices down. Mercedes-Benz’s decision to go with a larger SUV rather than a compact car, however, was driven by several factors. That’s something of an understatement. About 70 per cent of all vehicles sold in Canada last year were light trucks, according to DesRosiers Automotive Consultants. The U.S. percentage was similar, at 69 per cent, according to Cox Automotive. The EQC boasts a 400- to 450-kilometre range, according to European testing standards. 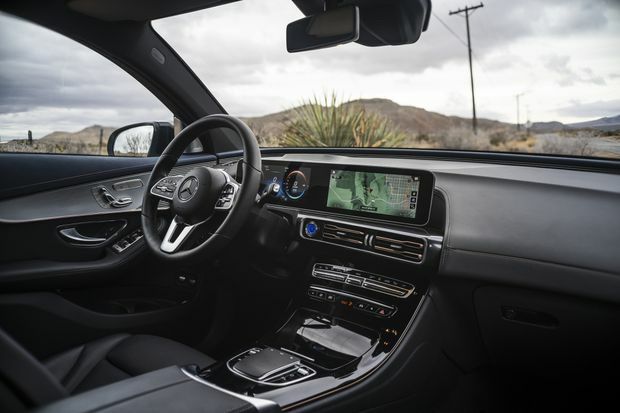 It will also come equipped with similar autonomous systems as Mercedes-Benz’s S class cars, with acceleration, deceleration and steering assistance. The automaker isn’t talking about price yet – that will be revealed in April – but it’s likely to be similar to its closest competitor, Audi’s e-tron, which has nearly identical specifications. Audi’s EV, which goes on sale this year, starts at US$74,800. 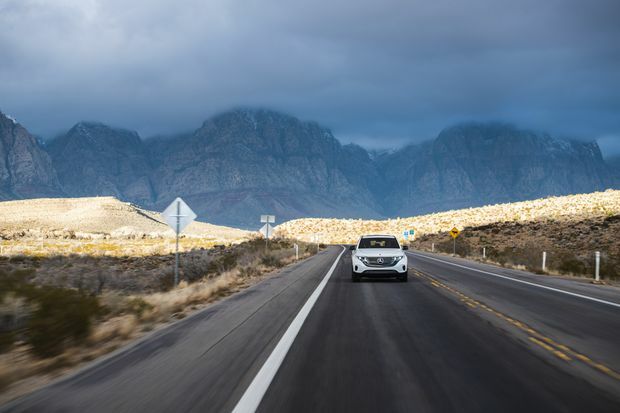 As is par for the course with higher-end EVs, the EQC will have an intelligent navigation system that uses radar and map data to suggest ideal routes – complete with charging points – for drivers. It will also come equipped with similar autonomous systems as Mercedes-Benz’s S class cars, with acceleration, deceleration and steering assistance. One-pedal driving will also be an option that can be turned on and off in different modes, Gebel says.